HSBC has appointed Martin Tricaud as Chief Executive Officer for the Middle East, North Africa and Turkey (MENAT) region, with effect from 1 June, 2019, subject to regulatory approval. Martin, who will also be Deputy Chairman of HSBC Bank Middle East Limited, succeeds Georges Elhedery whose appointment to lead HSBC’s Global Markets division was previously announced. In his new role, Martin will move to Dubai to lead HSBC’s next period of growth in MENAT, a region that is home to some of the world’s most ambitious economic transformation programmes, fast-growing capital markets, dynamic international trade hubs and vibrant, tech-savvy consumer sectors, and two of what HSBC describes as its ‘Scale Markets’ – the eight locations worldwide that drive around 60% of Group revenues. Martin moves to Dubai from Sydney where he has been CEO of HSBC Australia since March 2017, leading the bank’s growth agenda there to deepen market share and grow revenues across Retail Banking and Wealth Management, Commercial Banking, Global Banking and Markets and Global Private Banking. Before Australia, Martin was President and Chief Executive of HSBC Korea and, prior to that, Global Head of Multinationals, Global Banking and Markets, based in London. He began his career in 1989 with Crédit Commercial de France (renamed HSBC France in 2000) and has held a variety of senior roles within the Group, with significant experience in the Middle East. 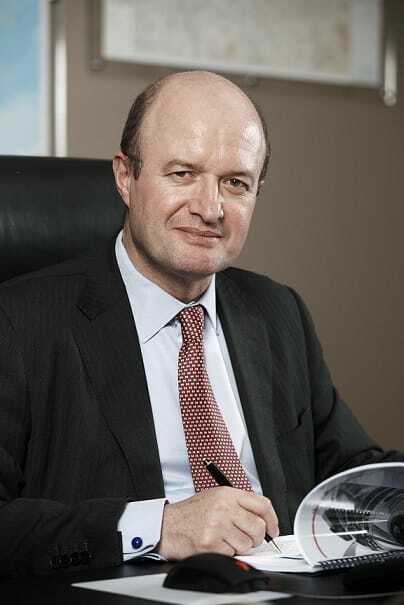 Martin was Regional Head of Corporate and Institutional Banking for the Middle East based in Dubai between 2004 and 2008, Senior General Manager HSBC Egypt from 2001 to 2004, and CEO of Crédit International d’Egypte (a subsidiary of Crédit Commercial de France) from 2000 to 2001.